The internationally accredited MBA in E-business Development from EU Business School covers key entrepreneurship and management skills that prepare candidates to thrive within an e-business context. Divided into three terms. 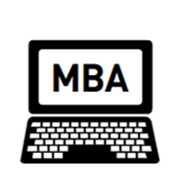 this MBA in E-Business responds to the increasing vital role of technology in business. The intensive course curriculum is designed to incrementally build on candidates' knowledge, beginning with general management skills and progressing towards the skills required for success in an online business environment. The essential issues that managers face when working in internet-based environments will be covered, be it within a start-up or as part of a multi-national operation. This English-taught programme can be completed in any of the Three Campuses of the university, in Barcelona, Geneva and Montreaux. Candidates may choose to transfer campuses at the end of each term, resulting in a truly international experience of different academic cultures and business environments around Europe. Applicants to the MBA in E-Business are evaluated holistically, based on their personal, academic and professional qualities and experiences. Selected candidates will participate in a formal interview. Graduates of the program will be awarded a Master of Business Administration with a specialization in E-Business from the EU Business School Business School and well as a second Master's degree from Nichols College, Massachusetts. The EU Business School Business School is accredited by the ACBSP (The Accreditation Council for Business Schools and Programs), IQA (International Quality Accreditation) and IACBE (The International Assembly for Collegiate Business Education). 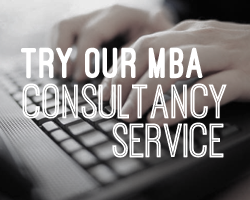 Fill out your details to find out more about MBA - Digital Business.